Individual consultation is key to pointing a customer to the correct cruise vacation, according to Carolin Beer at Nix-wie-weg’s, a German travel agency. “Not every cruise line is suitable for every type of customer,” she added, in the 2019 European Regional Report by Cruise Industry News. German guests are flocking to quickly-growing German brands TUI and AIDA Cruises. And that is because German guests prefer like-minded passengers and German-speaking crew, according to Anna Schwingenschlögl, head of franchise and sales coordination at Reiseland, a large German agency. AIDA launched as a modest one-ship program in the mid 1990s. The Carnival Corporation brand now stands at 12 ships this year, with the innovative LNG-powered AIDAnova making it 13 in December. Newbuilds follow for AIDA in 2021 and 2023, as does the Costa neoRiviera which transfers to the brand next year. TUI has been on an aggressive growth trek as part of a joint venture with Royal Caribbean Cruises. The premium brand launched single-ship service in 2009, and took delivery of a sixth ship this past May. More new ships come in 2019 and 2023, 2024 and 2026, while TUI will also keep its existing Mein Schiff 2, citing demand instead of transferring the vessel to sister brand Marella Cruises. According to Beer, most of the time clients will book a specific cruise line for their vacation and it is hard to convince them of anything else. Both Beer and Schwingenschlögl said that TUI and AIDA are driving market interest by building new ships, which continue to get bigger with innovative features. There’s also MSC Cruises, which is building up in the German market. But that could bring its own set of challenges, as some agents voiced supply concerns and added that some passengers prefer smaller vessels. German passengers are increasingly interested in the exact amount they will spend on the total vacation, and are opting to choose more premium beverage and all-inclusive packages, said Carsten Fath, CEO of Nees-Reisen. For activities like shore excursions and spa packages, the cruise lines normally do not normally offer a commission, Schwingenschlögl said. 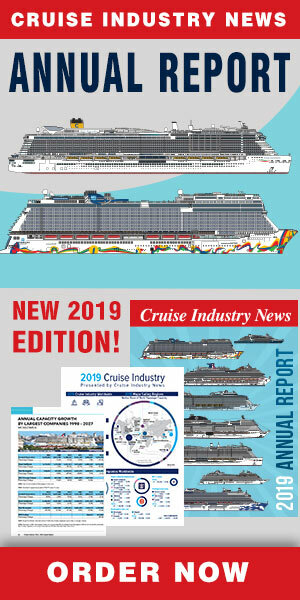 Learn more about the European cruise market in the 2019 European Regional Report by Cruise Industry News. The 2019 European Regional Report outlines all European cruise brands and goes in-depth into growth strategies through 2027. 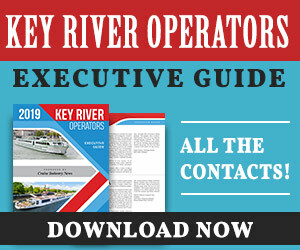 Plus information on the major source markets and all key ports, as well as data sets and more. 120+ Page PDF.